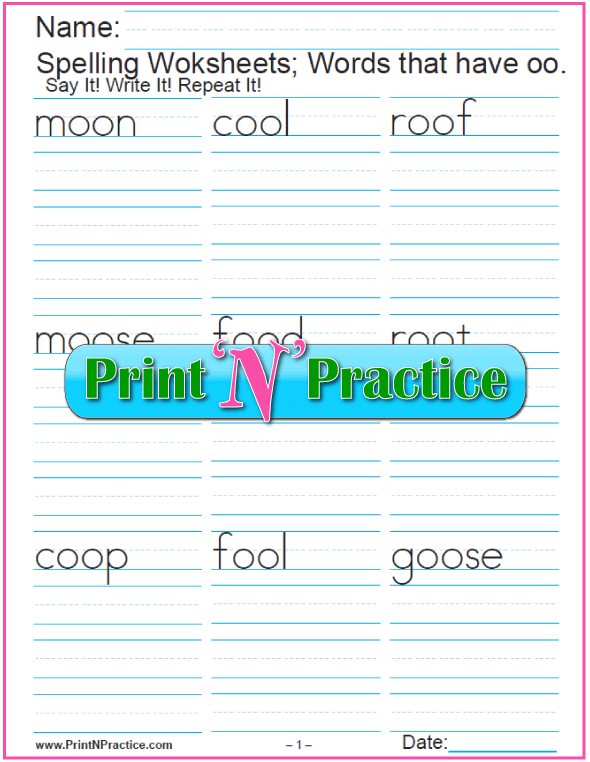 Printable Phonics Worksheets For Phonogram Practice. See below. Phonics is like an adventure. Which sounds reveal the word? If children are to read and write easily, they need the code; and they need to practice the code. Where will they find time if not in your class? 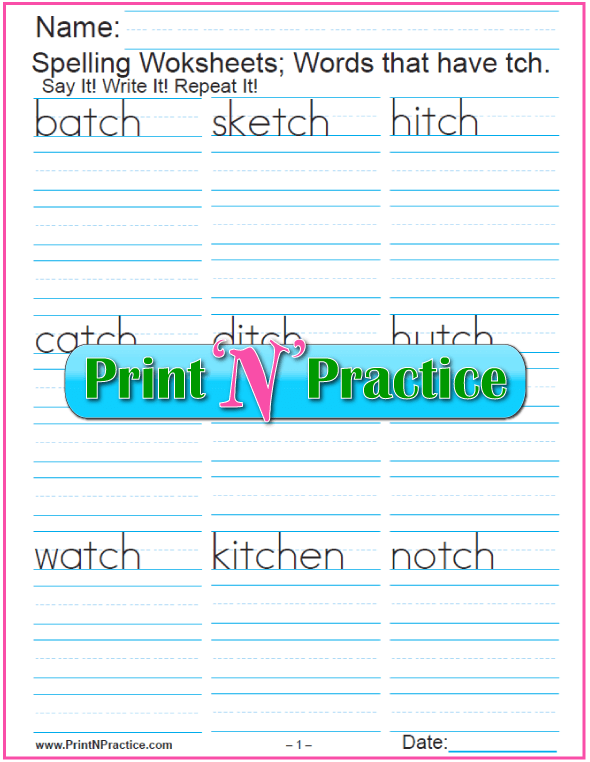 Use our phonics videos and printable flash cards with our practice worksheets to teach and practice learning the phonics sounds. Phonics videos make it easy to get the right sound with the right letters. For our ESL and EFL friends, remember that most sounds, especially the consonants, will be the same as what you already know from your own language. You might say it with a different accent. Simple! Just add practice. There are children who can read by the time that they are five years old when they are taught using Orton methods. Older children often "catch on" and "catch up" within a few weeks, simply because they already know many of the sounds on this page. 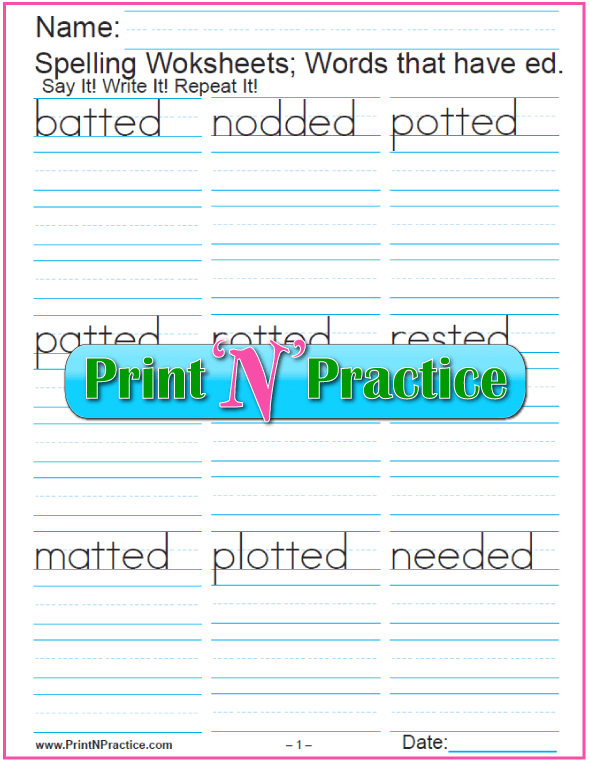 There are 44 printable worksheet downloads on this page that you can use with any phonics or alphabet system. If you're not using an Orton based system, you may want to use the phonogram videos at the bottom of this page. If you're using a PC, you can see each worksheet before you download it, or print it from your screen (depending on your computer or browser settings). 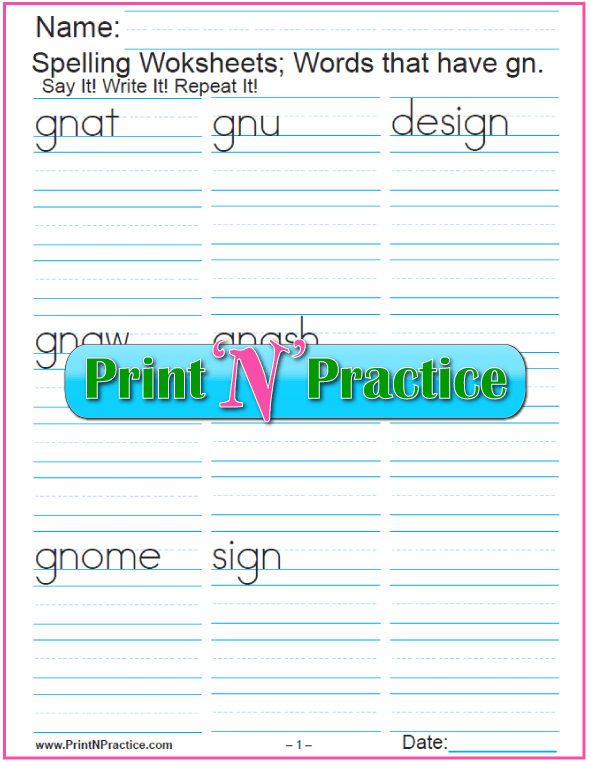 As per the note above, you can also save these phonics worksheets to a file for your children to have them practice while using a computer. They love being able to choose their own colors and fonts. After the work is done, you are still able to print it if you'd like. These are all interactive worksheets which means your children can do their work on the computer to save ink and paper. 1. 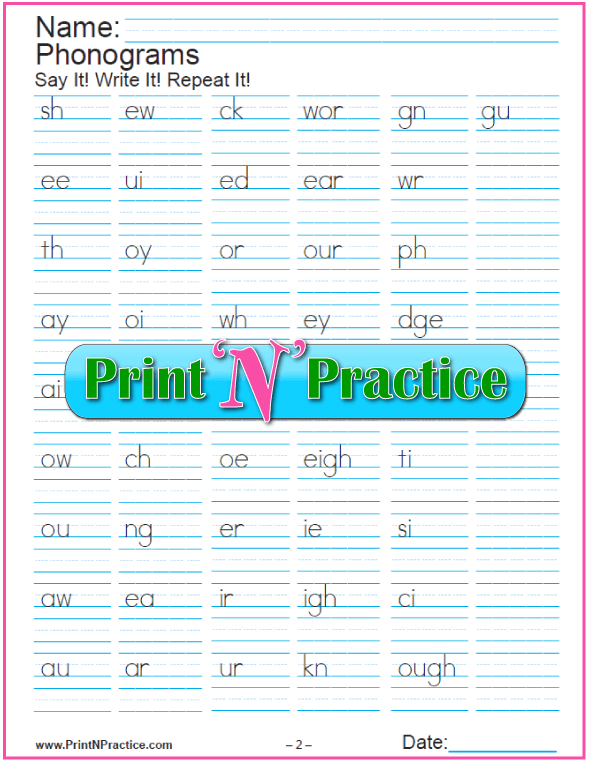 The first two phonics downloads on this page cover the 72 Orton phonograms which include the 26 alphabetical letters.. 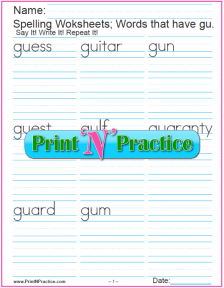 If you say the sounds as your beginning students practice writing them, they will learn them better, and this will also help those who aren't able to write from dictation yet. Use these to help your older students practice saying the letter sounds as they write them. Some of these downloads have 3 to 12 pages. Phonics practice helps kids remember their work. The more they practice phonics the faster they will have writing and reading fluency. Review is key. 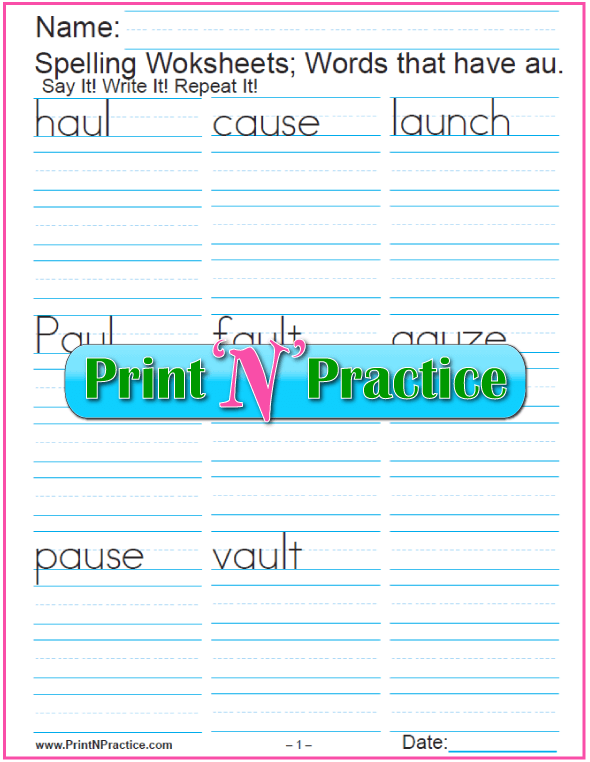 Practice these sounds often at the beginning, yet every single word they read or write from now on will automatically offer practice. Generally, there's no need to beleaguer the point. 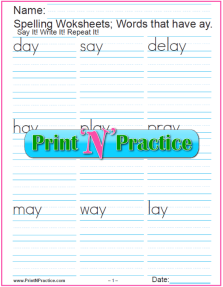 Practice the new phonic sounds at the beginning of the day, once before lunch, once after lunch and again before you're finished with the day. Practice each sound three times each and circle back once or twice. Then leave it. Most children appreciate the short study, and most children learn well this way. Why do these phonics worksheets have such small lines? Give it a try. You may not ever use the giant ruled lines for your students again. A large rule in K-3 makes it so hard for kids to be able to write smaller in third or fourth grade. They find it extra hard to make capital letters taller than the the other letters in a word. 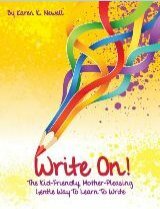 You'll find that it is so much easier for your kids to write smaller from the start and they can skip the transition grief in later years. Very little children can trace and copy the top line while saying the sound with you. Find our trace and copy larger ruled printable Alphabet Worksheets and Phonics Flash Cards here. 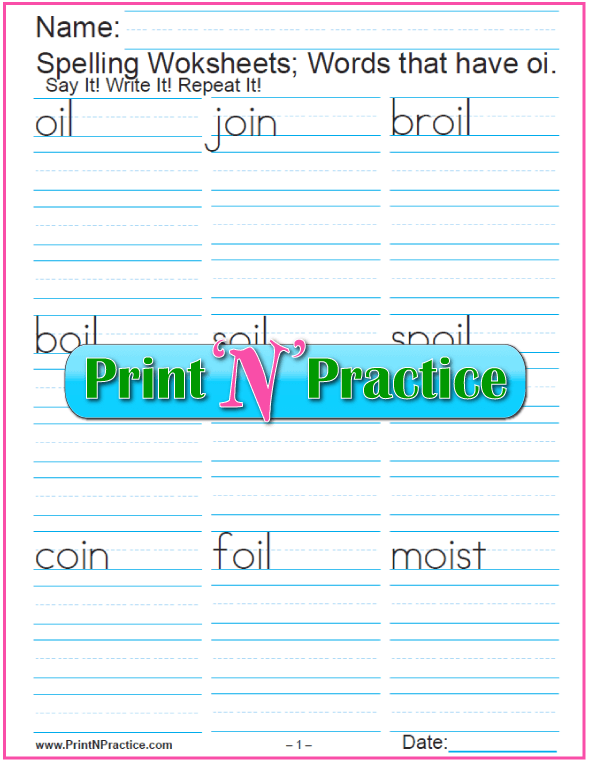 This copy exercise can be expanded to include handwriting practice if the children are learning to make their letters. Simply have them write the letters three times on the same line. For older children add words that use the sound to be copied. Bookmark this page on your phone to use the printer at school. 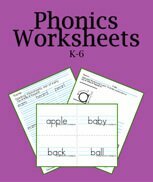 The first set of Phonics worksheets has 11 pages that teach the first sounds of each letter and the short vowel sounds and is great for Preschool and Kindergarten. So many times, especially with older children, it is good to teach the sound and have them review by going to the board to think their way through the words and their sounds. Then the worksheets are an excellent review of what they have just learned. The treasure here is that the words are already written so that there's not so much danger of misspelling when practicing the sounds or handwriting. Watch that they think to spell though. Thinking what the sounds say will make remembering them so much easier and faster. 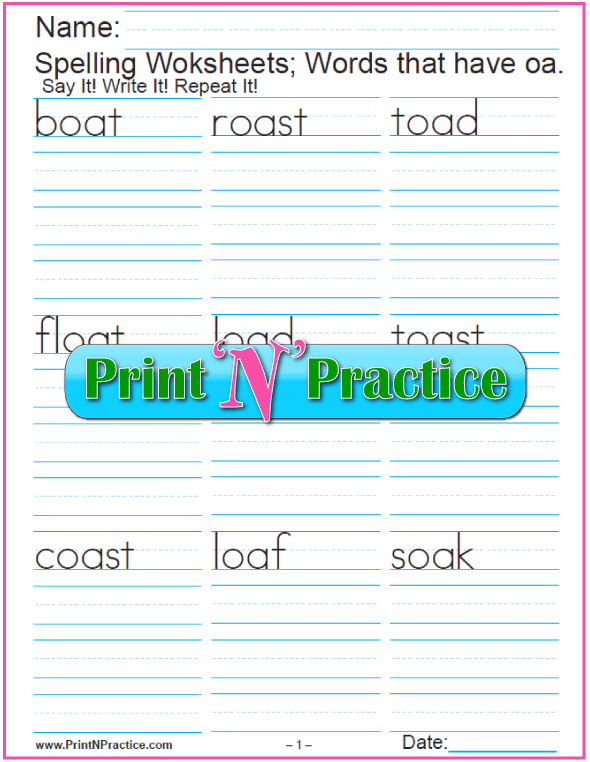 The rest of these worksheets have 2 to 6 pages for practicing the different multi-letter phonograms. 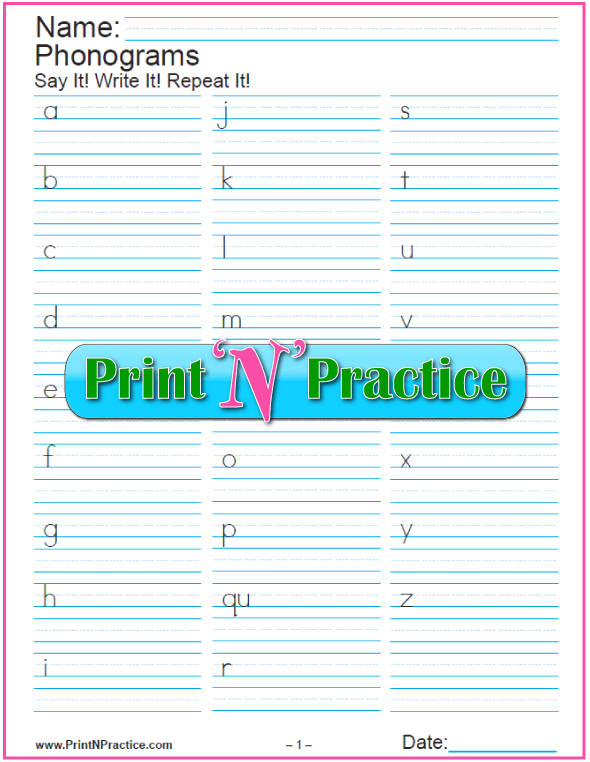 They are in alphabetical order so that you will find the worksheets you need easily. Use them with these videos depending on the level of your children. New: I am uploading two manuscript line sizes of each of the worksheets so am giving them new webpages with more info and ideas. One size is great for little kids and the other is good for older children. If you want smaller sizes as for high school, print the large size two up. and three worksheets are for trigraphs (dge, ear, and tch), meaning three letters. Find one quadgraph worksheet for ough. 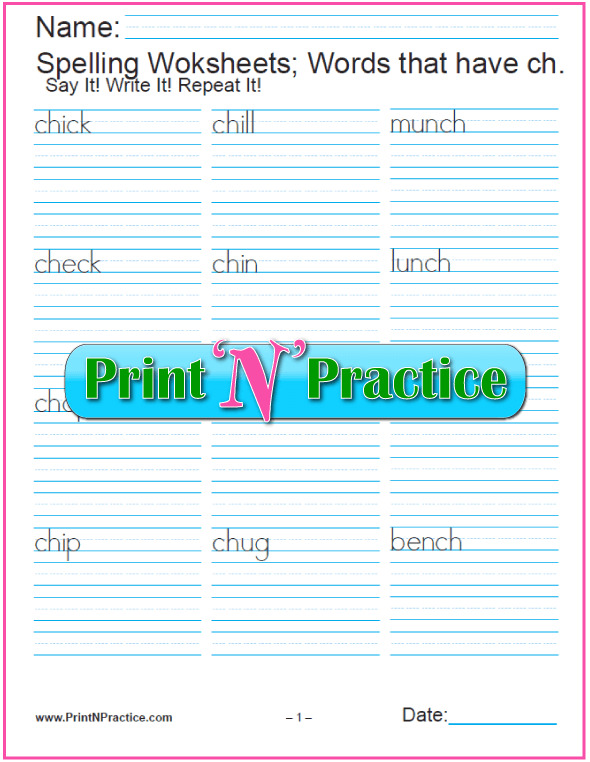 Most of these pages will have phonics rules and dictation ideas, like sentences to go with each word or grammar hints. 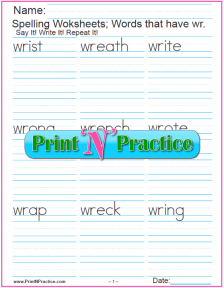 You can add these to your daily phonics lesson plans. 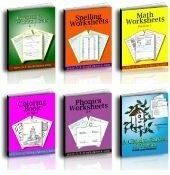 Alphabet Phonics Worksheets - The first PDF bundle here has 11 pages for the first sounds of the 26 letters. The list has words that start with the letters in alphabetical order so you can review the consonant and short vowels as you teach the alphabet. Most of the words use the short vowel sounds as with short a, e, i, o, u. These are excellent first grade short vowel activities. 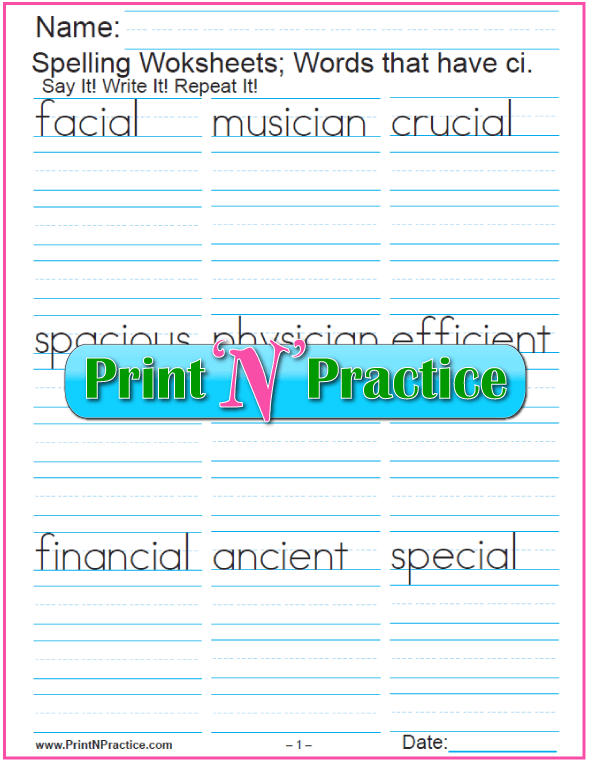 ER Words - The next five have 2 to 6 pages of phonograms for the er, ir, ur words. Some also have er ending words, etc. Multi-Letter Phonograms - The rest of the phonics bundles are in alphabetical order. 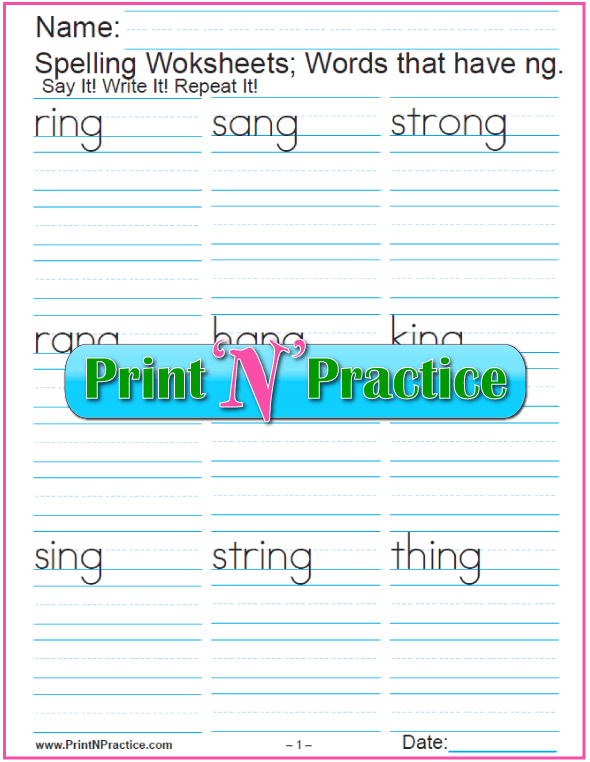 These PDF multi-letter phonogram worksheets are in alphabetical order and include long vowel phonemes: ai and ay, ee, igh, oe, oa, oi and oy, or. See also consonant digraph worksheets ch and th. Use many of these as long vowel worksheets for teaching the long vowel phonemes. Hint: You really want to help your kids get a habit of saying the sounds as they write the letters. Early. Like from the beginning. What about EA, EI, IE, EY, EIGH, and OE Words? The simple answer is that I have not made these worksheets yet. A better answer is that I really believe in Romalda Spalding's method (Sanseri, Beers, et al) and think that children should think to spell these words. Words that start with GH: ghast, gherkin, ghetto, ghost. GH words have fallen out of mainstream vocabulary as terms like Holy Ghost are not used as often as in days past. 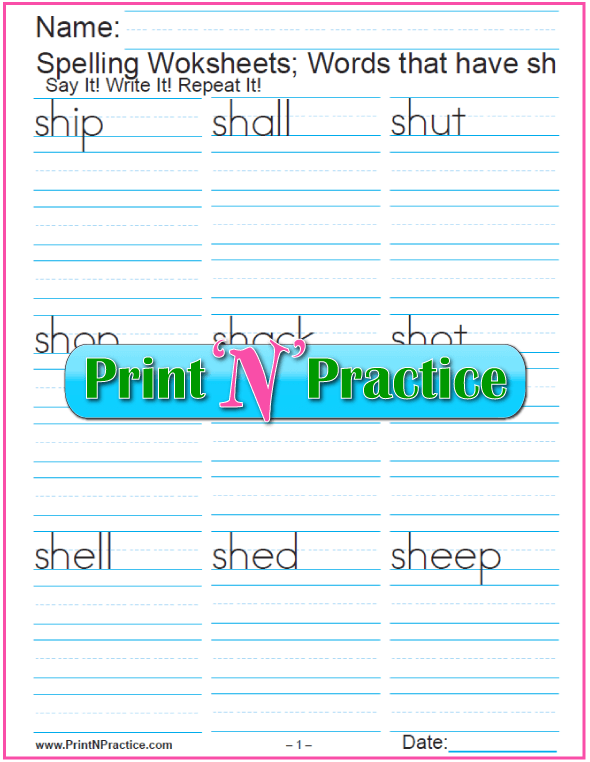 Silent consonant GH worksheets: Teach phonograms augh, igh, and ough. NG is a phonogram, NK is two letters that retain their original sounds. ED and ING endings or suffixes are guided by grammar rules for past and continuous tense verbs. The thing with phonics videos is that you can hear the sounds with the correct letters. There's no dropping the cards, forgetting the right sound, or inadvertently teaching the wrong sound. Phonics videos can help you teach the sounds of the alphabet letters. 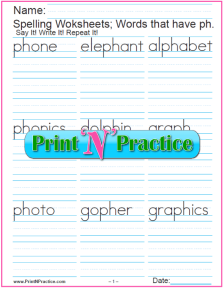 Phonics Activities Beginner - The first 26 phonograms with video. 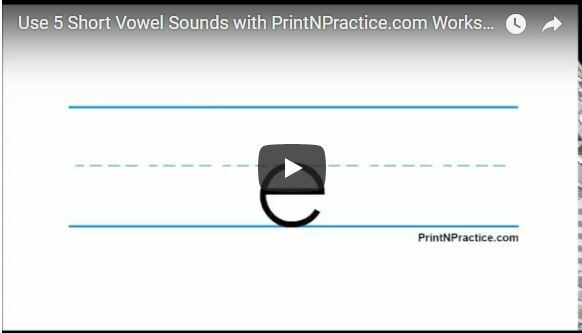 Long & Short Vowel Videos - Two phonics videos with practice worksheets: Practice the basic long and short vowel sounds. Phonics Rules & Video - List of English phonics rules. Advanced Phonics Lessons - All 72 phonograms and graphemes. If you have ESL students, you'll love our long and short vowel videos. Simply teach that most of their first language words use the long sounds and most English words (67%) use short vowel sounds. Plain, clear, and repeatable. This being said, we all know that it can also be hard to find the time necessary to be able to dictate the repeat practice and drill that is necessary for mastery of phonic sounds. Videos are handy for easy audio-visual reinforcement. 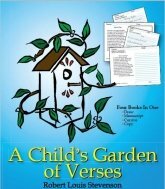 If you have ESL students who need video instruction, you will love Barbara Beers' Phonics Road video instructions. Perhaps English is your second language? Barbara's videos are perfect. I now have several ESL friends who are grateful to have found the Phonics Road. 4. 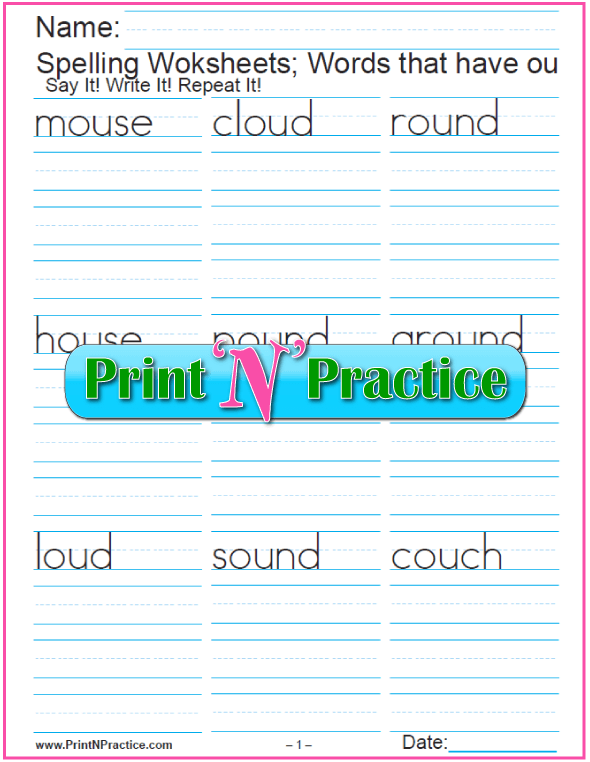 Use Printable Phonics Worksheets With The Sounds: Say it. Write it. Repeat it. Most of our worksheets have two to four pages for extended and varied practice, so this can be way too much for little children. Assign only one page in the beginning. Be encouraged to teach Phonics at any stage of learning to read or write. When there's a reading or spelling fault, remind them of the correct way, and review the rule or the correct sounds briefly. Then move on. Explicit instruction of isolated phonemes or phonograms - teaching the alphabet sounds - offers kids a measure of certitude and phenomenal tools for future success. If the review is quick and sweet, they learn the phonics lessons more easily and your children won't chafe at repeating the review later. 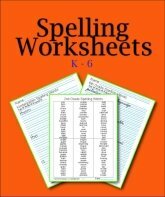 Once you teach the basic phonics sounds; any spelling, vocabulary, writing, or reading comprehension worksheet becomes practice phonics worksheets as well. Practice writing the letters and words is one of the main benefits of these phonics blend worksheets. 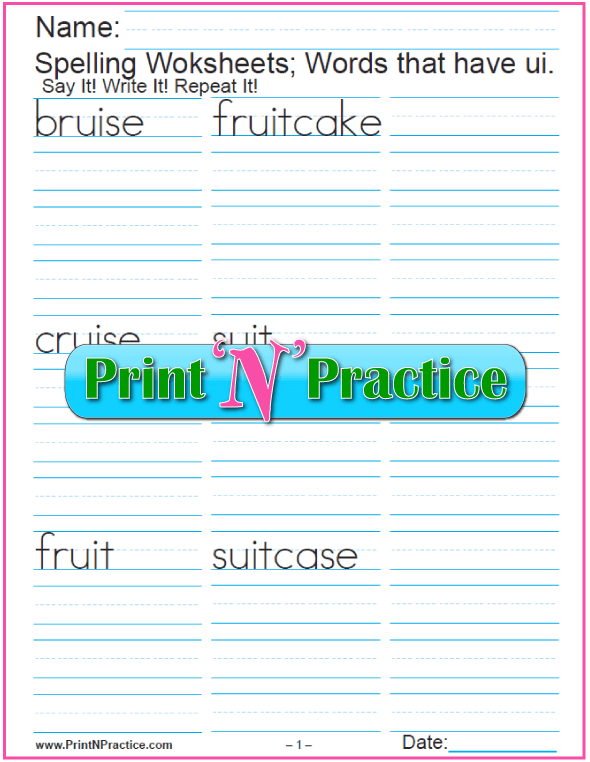 Use our printable phonics flashcards for teaching the Phonics sounds. These have all three lines printed (top line, mid-point, and base line) so your children can see where letters of the alphabet sit. 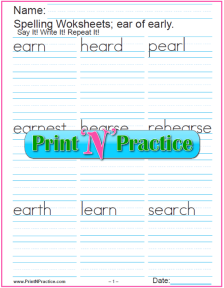 So many times kids do not know where the descenders descend below the base line as with the g, j, and p on the phonogram cards if there are no lines. Hopefully using the lines is helpful to you, it was a huge help to my students. Try putting the lines on the board to see if your students "get" the base line way much better. Mine did. These free printable phonics flashcards match the phonics videos above. 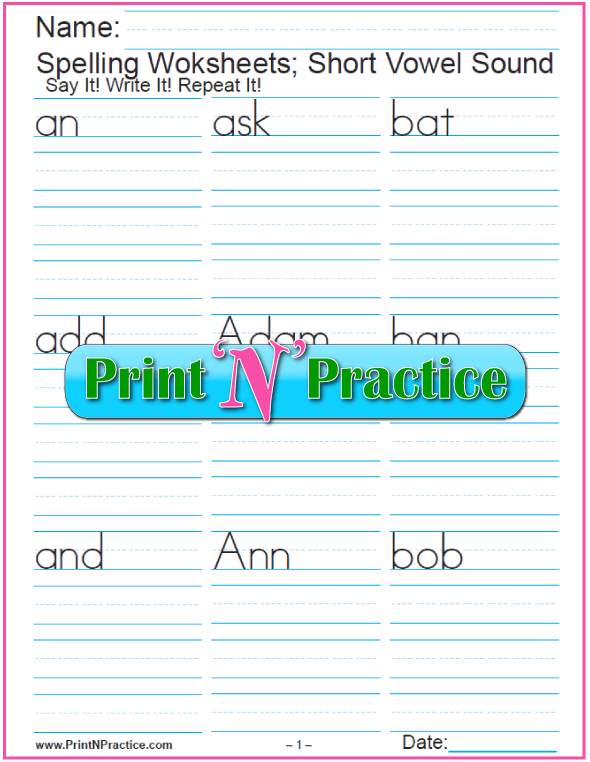 Print one side of these phonogram cards to use with your own word clues, or print them double sided to see the phonemic hints. I think you'll like the Phonics lessons related to Dr. Orton's methods best. They're the ones that use dictation like Spalding, Schola Publications, Riggs, Dettmer, etc. After teaching and reviewing the sounds, if you'll dictate the sounds to your students, they'll be able to write and read more naturally. Teaching children to become familiar with the the phonics sounds and the phonics rules is the best method to explicitly teach the alphabet to any student, young or old, who wishes to read and write well and to retain those skills. Check Romalda Spalding's The Writing Road To Reading. She learned from Dr. Orton and really emphasized that review is important. In the beginning I spent a over a year teaching phonics without realizing how much the kids needed quick and frequent review. Now that I do more review, my results as a teacher are WAY better. Easy review is the main reason why I offer our practice worksheets. After Spalding I also learned a great deal from Mrs. Barbara Beers' Phonics Road videos. They're next best to having a real teacher to help you. I know a girl who was taught for kindergarten with the first level in about 9 months who knew her phonics letter blends and tested at a second grade level. I once had an ESL Spanish speaking neighbor who used these DVDs as a way to learn to speak and spell English better. She'd asked for help so I wound up doing what Mrs. Beers does in her videos. We were both so glad that she could use the streaming at home. Read more about Mrs. Beers' Phonics Road here. I've been very happy to have used Wanda Sanseri's Spell To Write and Read. 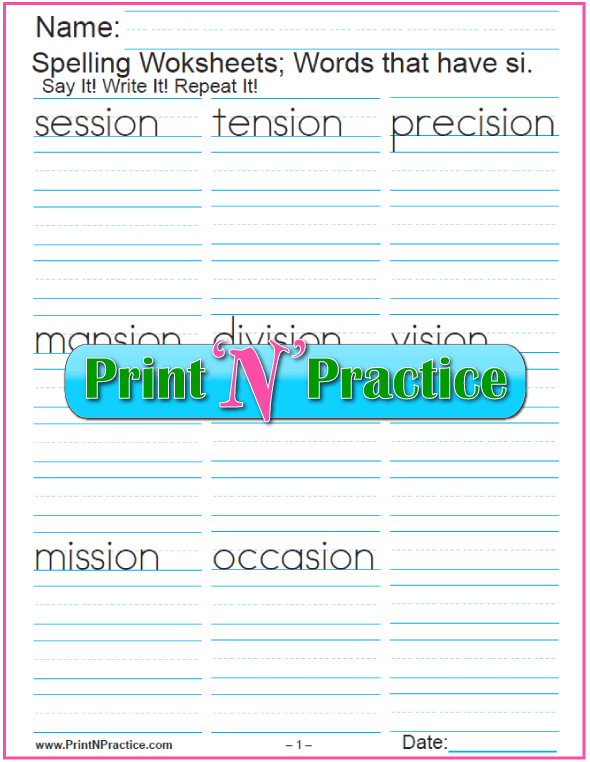 Her pre-formed notebooks are a huge savings in classroom time and in children's understanding of what they're doing. Her entire program is very cost effective and is made so that you are able to learn the system as you work by staying one page ahead of the students. If you're interested in a level by level approach you would want to look at All About Spelling by Marie Rippel. Deanna Caswell from Little Schoolhouse in the Suburbs gives an excellent comparison between AAS and WRTR here. 5.C. What Are Dipthongs and Digraphs? Di means two in Greek. Graph means write or letter. A digraph indicates, or stands for, a two letter sound. A digraph is two letters representing one sound. A dipthong is the sound of the two letters. And guess what? There are trigraphs (dge, igh, tch);and quadgraphs (augh, eigh, and ough). Trigraphs have three letters and quad graphs have four. 5.D. What's The Difference Between Digraphs And Blends? ch, sh, th, ai, ay, ee, etc. The difference between digraphs and blends is that blends retain the sounds of the individual letters. The individual letters retain their sounds, yet you say them slurred together. The same applies to trigraph letters as digraphs. You can still hear the letter sounds. Okay. If you ask me, we're splitting hairs by the time we get to this point, but it's good to know the terms. 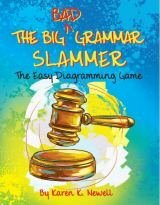 What's the difference between phonemes and graphemes? You hear the first and write or see the second. Phoneme Definition: A phoneme is an isolated sound in a word. Phonemic awareness simply means whether a student can discern the different sounds in a word. Discerning the sounds of phonemes is easier when students live with people who pronounce their words well and is a huge boost in being able to spell well. When you're teaching the phonograms, you'll want to say the words the way you're teaching them. Grapheme Definition: A grapheme is the written letters heard in a phoneme. Graph and gram mean to write. These are also called phonograms, meaning the symbols of the sounds as written. If a student knows the letters used in a grapheme when he or she hears phonemes, it is the beginning of being able to spell well. I have dedicated these free Phonics worksheets and our other Phonics activities to the memory of my Dad who was a super teacher and had spent time learning Phonics in Phoenix at 70 years young and then came home to teach his grandchildren. In the last few years before his death, he taught the children of over 60 families the sounds of the phonograms - for free! Everyone was welcome: Moms, Dads, babies, toddlers, and - of course - students! My Mom would have done the same except she had already passed away. Perhaps this is what freed Dad to work so energetically? Most importantly he helped the children practice the phonics consonant blends and phonograms. Even slower students who know the Phonics rules and who become handy with the Phonics sounds begin to advance quickly as soon as reading makes sense to them. 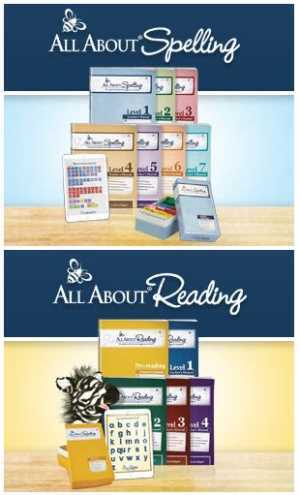 Once any student has the basic reading skills he is free to read, and thereby, to learn almost anything! Most students still need phonics lessons and review throughout the early childhood learning and elementary education years so as to learn how the phonics rules apply to bigger words. I dedicate these Phonics activities to the memory of, my Dad, who was a super teacher, and to serving as many children as I can in his memory.